Did you know that Saturday 9 June is World Gin Day? It’s a day when everyone and anyone (over drinking age of course…!) takes the opportunity to celebrate and enjoy the art of gin-making around the globe. Here on the African continent, there are a number of women entrepreneurs who are gin pioneers, creating world class products and brands that celebrate this unique juniper spirit, but with a uniquely African twist. So if you haven’t already experienced Africa’s independent gin brands, then let’s introduce you to some of the women entrepreneurs on the continent who are getting the world’s tastebuds excited with their fabulous spirits. 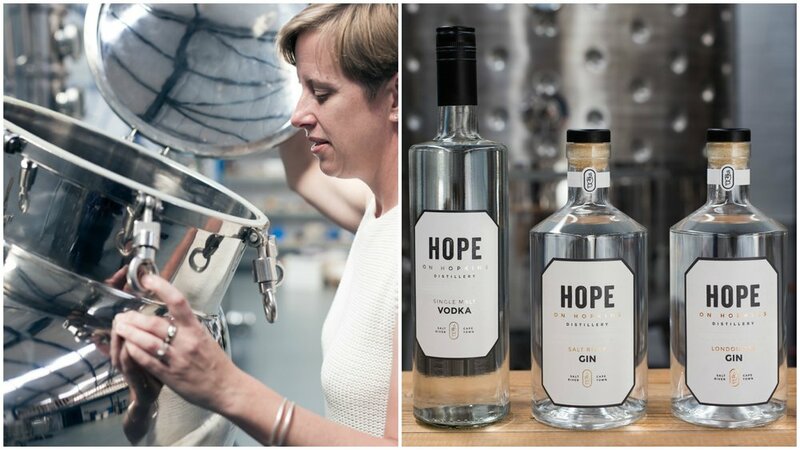 Hope on Hopkins is Cape Town’s first artisanal distillery, in the heart of industrial Salt River, founded by ex-lawyers and partners Lucy Beard and Leigh Lisk. Each day they toil and play to bring their customers handcrafted spirits packed full of new flavours and an interesting range of botanicals, made by using the age old process of batch distillation with their three faithful stills – Mildred, Mouma (a new addition to the team!) and Maude. Their dedication to their craft and respectful handling of carefully sourced quality ingredients culminates in their three Hope on Hopkins Gins: the classic “grain to glass” London Dry Gin, the South African inspired Salt River Gin and the more experimental, savoury Mediterranean Gin, as well as a small batch vodka and their 100% agave spirit, Esperanza (which they’re not allowed to call Tequila). They also design, distil and produce gins for other brands, including Musgrave 11 and Musgrave Pink Gin, Bloedlemoen Gin, the boldly citrus Clemengold Gin, the complex fynbos infused Southern Cross Gin, and the recently launched Blossom & Hops Gin. Hope on Hopkins will be celebrating not only World Gin Day on 9 June, but also the brand’s own 3 year anniversary of having products in the market. Lucy Beard says, “As gin pioneers in Cape Town, it is so wonderful to see South Africa getting into the World Gin Day vibe and celebrating and enjoying all things GIN. So grab a glass, sit back, relax and choose from one of the many local gins now available. Lorna Scott, the entrepreneurial inspiration behind the fabulous Inverroche gin brand, is a passionate gin creator and brand builder, inspired by the natural botanicals that grow in the world’s smallest yet richest floral kingdom. Inverroche Distillery produces fynbos-infused gin. It’s spirits are distributed throughout South Africa and in 14 countries including Europe, America, Asia and Africa. Inverroche produces three flavours of gin which are different, soft and full of complex aromas and flavours. They are the Classic – a crisp, refreshing, clear spirit with sweet citrus top notes: Verdant - a silky smooth floral spirit with subtle liquorice and almond top notes, infused with late summer blooms which give it a green tinge; and Amber - a luscious, full-bodied spirit with a dry spicy finish turned a soft amber colour by the infusion of tannin-rich coastal fynbos. The gin is made in small batches in Meg, a 1000 litre pot still, and individual bottles are numbered by hand. The response from people who taste them is “unexpected and surprised”. Interactive experiences from tutored tastings lead to consumers becoming innovators – introducing friends to a new way of drinking gin. Gin is trendy and fynbos gin is super trendy. As a premium-priced, sophisticated spirit in elegant packaging it has become a status symbol – affirming personal worth and has become a way of starting a conversation - about where and why we make it and why and how you drink it. Inverroche spirits are a potential new national icon – moving away from brands which depict African spirits as wild and untamed to one of a modern cosmopolitan Africa which is sophisticated and world class. Inverroche gins are affordable luxury items. A choice of three leads to loyalty and taking ownership of your favourite. 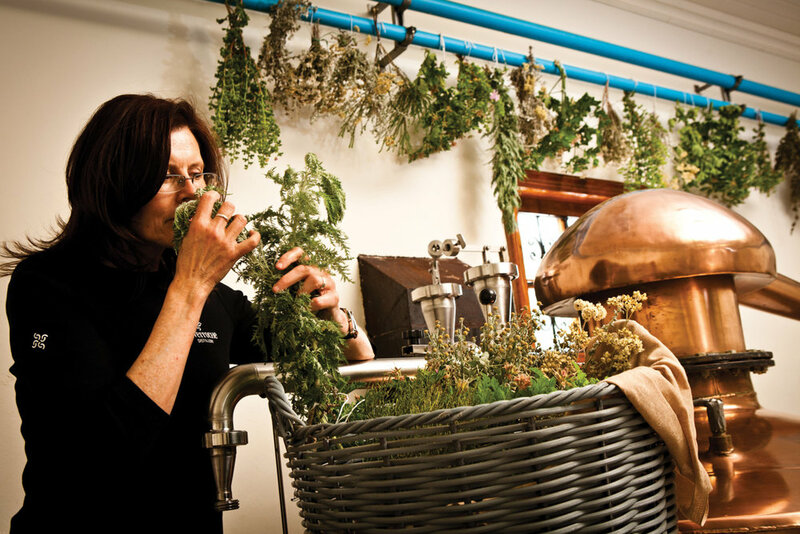 The story behind the company’s fynbos-infused spirits inspires and resonates across all cultural, social, economic barriers, and its products are in tune with many green and responsible sentiments and support enterprises which demonstrate a responsibility towards sustainable development and social upliftment. The enterprise is a return to traditional values: handcrafted, family concerns, small batches, made real slow, authentic and unusual. Read the startup story of Inverroche. 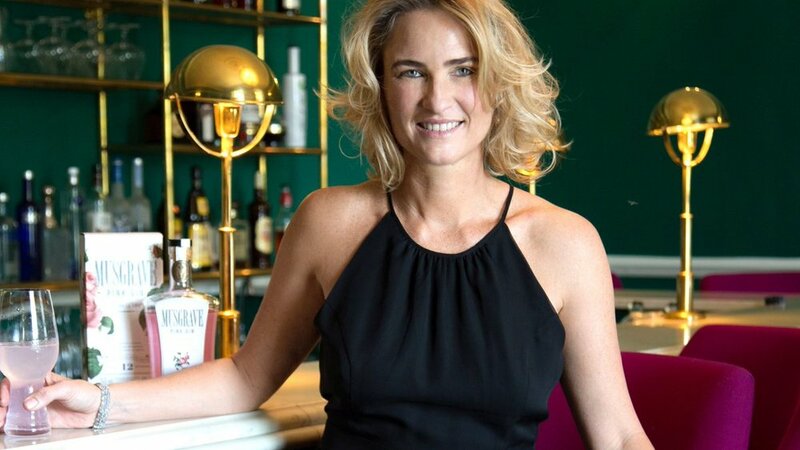 Musgrave Gin’s founder Simone Musgrave tells the story of how her grandfather, Maurice Boon Musgrave, left Plymouth in 1949 bound for Africa to start a new life exploring and discovering the people and land of Africa. Three months on a ship with a small baby, a measles outbreak and many a day of seasickness and the adventure that would change the shape of his family had begun. From then onward an African family would take on the adventure Maurice had started. The spirit of endevour, adventure and courage lives on in granddaughter, Simone, guardian of Maurice's passion for the unusual. Musgrave Gin is born out of the flavours and history of Africa and its ancient spice route. Musgrave Premium is no ordinary gin and its top notes of aromatic Cardamom, African Ginger (Whitei Mondei) and Grains of Paradise are reminiscent of the perfume of spice markets. Cardamom, part of the ginger family is fragrant and spicy with a strong flavour and perfume and is used in North Africa to flavour tea and meat dishes. Whitei Mondei or African Ginger is a truly magical African herb. The roots are aromatic and taste like ginger or liquorice and have an aroma of vanilla. Mondei has for a long time been extensively and widely used in traditional medicine as an antacid and as a boosting tonic. Some sources indicate that the plant is further used as a symbol of peace and a sign of power. Grains of Paradise, native to Africa are worth a couple of minutes' meditation. The aroma is woody and forest-like and the flavour is an inviting, peppery warmth without the harshness of black pepper. The woody character gives way to cloves, cinnamon and a faint hint of cardamom and leaves you with a gentle flame. Musgrave Gin top notes are all linked by family of Africa or a family of flavours as is the Musgrave history. Musgrave Gin also has a unique pink gin which is popular with women consumers. Keroche Breweries Limited currently produces and distributes alcoholic beverage products ranging from beer, wines and spirits. It has a presence in every region of Kenya with a distribution network composed of super distributors, distributors, stockists and retailers. The company’s vision is to be the best producer of high quality, healthy alcohol products that are natural and sugar free and place Keroche Breweries as the most preferred in East and Central Africa. Keroche produces its Crescent range of spirits which are triple distilled and produced from finest extra neutral spirit and high quality natural distilled water from the foots of the Rift Valley. They are superior blended. Within this stable is Keroche’s Crescent Dry Gin. 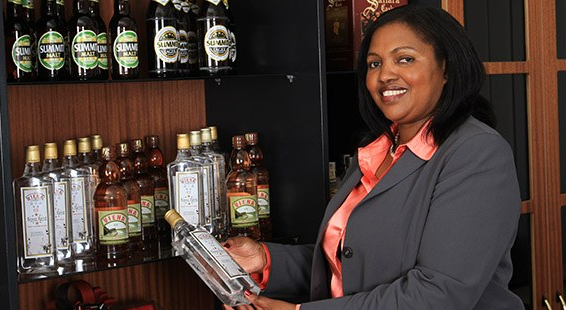 Find out more about Tabitha Karanja, founder and ceo of Keroche Breweries.